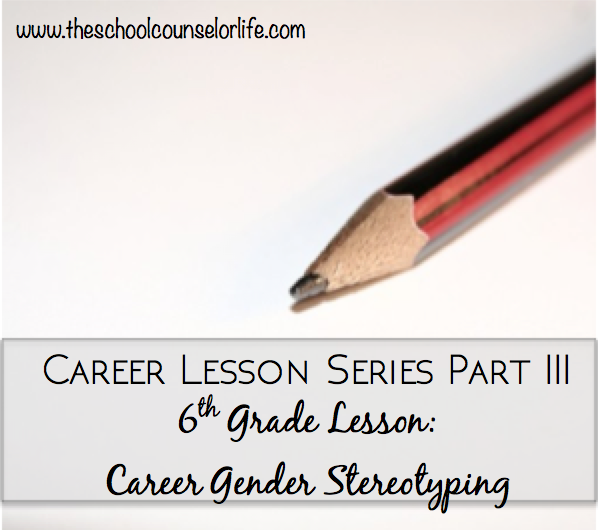 I’m going to start off by saying that this is my favorite career lesson that I implement with my students, and my 6th graders seem to take a lot away from it in regards to career gender stereotyping. Although we’ve made a lot of progress as a society, gender stereotypes still influence career decisions, and this lesson makes that real for students. Once we’ve finished our initial “what is a career” discussion, I pass out a worksheet. 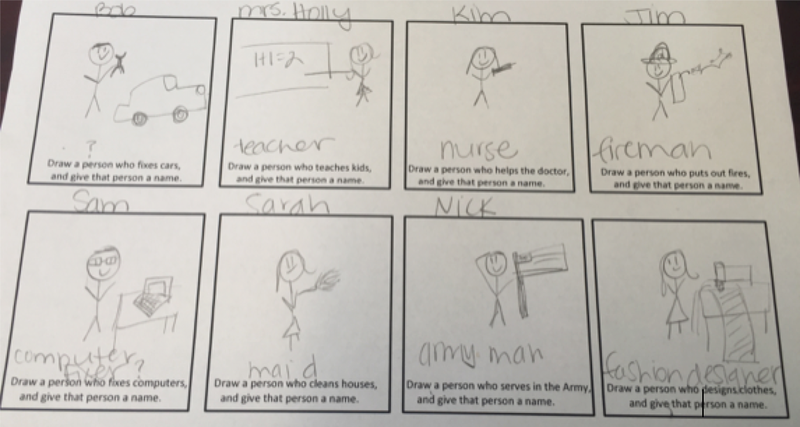 Students are instructed to write the career described in each box, draw a picture of someone who would have that career, and give that person a name. To the students, they were being tested on recognizing careers, but really they were about to demonstrate career gender stereotyping. After doing this a few times, the students realized what they had done, and some even looked horrified that they — the liberal, forward-thinking middle schoolers they are — had used gender stereotypes on their worksheets without thinking. If these students were asked in everyday life, “Is a doctor a job for a man or a woman?,” they would in an instant say, “It’s a job for either! Men and women can be anything they want!” Yet, the career gender stereotypes that have been around ever since women have been in the workforce still permeate their minds unconsciously. The “Ah-ha” moment of this lesson was spectacular to watch. Hopefully it helped at least one student not limit career choices based on his or her gender. Only 2 more parts of this career series! Click here to check out Part IV: Career Research (a 7th Grade Lesson).